Albania as a country takes their holidays seriously. I know I’ll never have as many days off as I have here in a country that observes Muslim, Catholic and Orthodox holidays as well as other state and international celebrations. However, even for Albanians March is a holiday-heavy month. 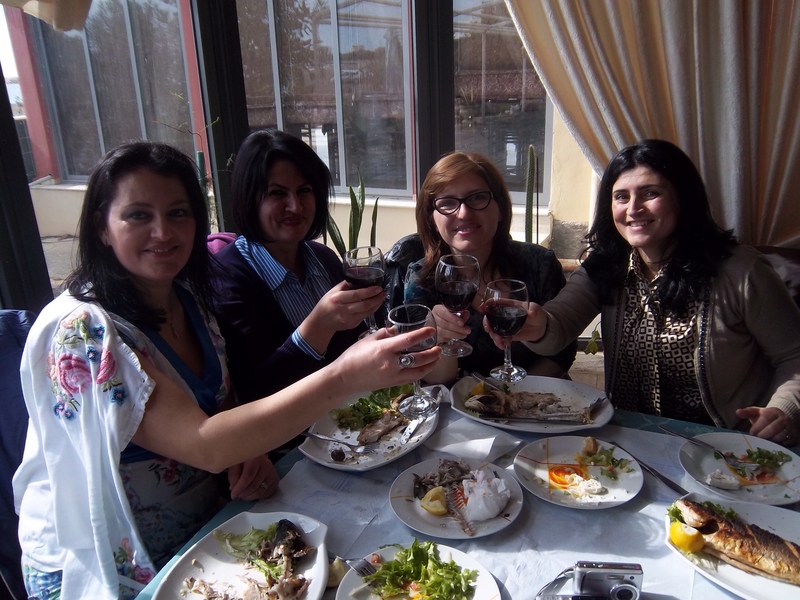 This year I had the advantage of knowing what to expect when, the day before women’s day, my counterpart said “Laura, you need to wear a dress tomorrow – we’re going to dance.” And, I had the opportunity to spend the days off with some of my favorite people here in Albania, enjoying the early spring weather. Dita e Grave // International Women’s Day – March 8th // Celebrated with the women I work with at the Bashkia with a day dancing at a lokal by the beach and with a dinner with the women from the American School in Lezhe. Dita e Veres // Summer Day – March 14th // Dita e Veres is a distinctly Albanian holiday, involving traditions of making sugar cookies and tying friendship bracelets around your friends’ wrists (why, I don’t know). It’s usually done up most in Elbasan, but I celebrated with some pals from work, again at the beach. …and for this week’s Novruz – March 22nd, I will be at my counterpart Yllka’s house teaching her how to make brownies and eating lunch together. All examples of cultural exchange at it’s best! glad you are keeping up the good UVA partying tradition!!! Girlfriend. You said it. I was thinking the same thing on my bus ride home this weekend- that is all this month is! MARCH MADNESS IN ALBANIA brings on a new meaning!! !